This post is intended as a quick addendum to my post The Apotheosis of Emergent Complexity, in which I considered, in turn, the respective peaks of star formation, life, and civilization during the Stelliferous Era, as exemplifying significant forms of emergent complexity in the universe. The apotheosis of emergent complexity recognized in that earlier post — when stars, life, and civilization are all represented — can be further narrowed in scope beyond the parameters I previously set. With the sole examples of ourselves as representing life and civilization, we can acknowledge a minimal form of the apotheosis of emergent complexity already extant, and as long as our civilization endures and continues in development it retains the possibility of seeing further emergent complexities arise. Among the further emergent complexities that could arise from terrestrial life and civilization is the possibility of this life and civilization expanding to other worlds. 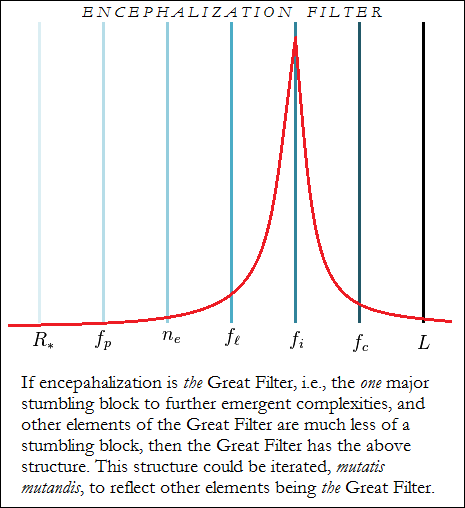 A simple expansion would represent the spatial and temporal extension of emergent complexity, but life and civilization almost certainly will be changed by their adaptation to other worlds, and this adaptive radiation on a cosmological scale may involve the emergence of further emergent complexity (in which case a fourth peak would need to be defined beyond stars, life, and civilization). An expansion of terrestrial life and civilization into the universe that constitutes an adaptive radiation on a cosmological scale, is an event that I have called the Great Voluntaristic Divergence (in Transhumanism and Adaptive Radiation) — “great” because it takes place on a cosmological scale that dwarfs known adaptive radiations on Earth by many orders of magnitude, “voluntaristic” because both the direction and the nature of the radiation and the adaptation will be a function of conscious and intelligent choice, and “divergence” because different choices will lead to the realization of diverse forms of life and civilization not existing, and not possible, on Earth alone. We can think of the Great Voluntaristic Divergence as a “forcing” event for the principle of plenitude. I have noted previously that cosmology is the principle of plenitude teaching by example. When the principle of plenitude works at the scale of the cosmos and at the level of complexity of civilization, further emergent complexity may yet transform the universe. If we take the peak of emergent complexity as beginning with the Great Voluntaristic Divergence, this peak of emergent complexity so conceived will end with the End Stelliferous Mass Extinction Event (which I first formulated in my Centauri Dreams post Who will read the Encyclopedia Galactica?). Once star formation ceases, the remaining stars will burn out one by one, and, as they wink out, the planetary surfaces on which they have been incubating life and civilizations will go dark. Any life or civilization that survives the coming darkness of the Degenerate Era, the Black Hole Era, and the Dark Era, will have to derive its energy flows from some source other than stellar energy flux concentrated on planetary surfaces, which I noted in my previous post, Civilizations of Planetary Endemism, typify the origins of civilizations during the Stelliferous Era. 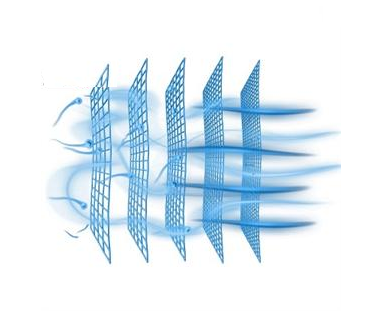 If life and civilization endure for so long as to confront the end of the Stelliferous Era, there will be plenty of time to prepare for alternative methods of harnessing energy flows. 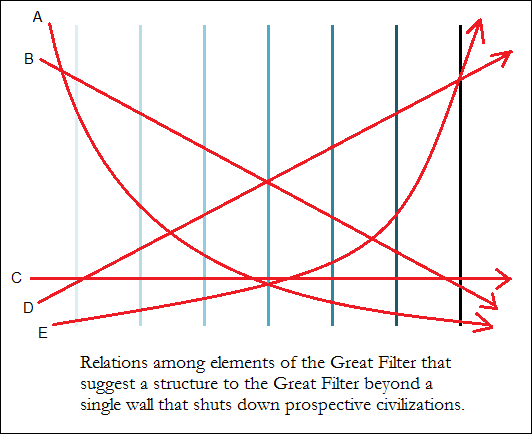 Moreover, I strongly suspect that the developmental course of advanced civilizations — the only kind of civilizations that could so endure — will experience demographic changes that will bring populations into equilibrium with their energy environment, much as we have seen birth rates plummet in advanced industrialized civilizations where scientific medicine reduces infant mortality, lengthens life, and increases the costs of child-rearing. When the End Stelliferous Mass Extinction Event is visited upon our distant descendants and their successor institution to civilization, their horizons will already have been altered to accommodate the change. The development of the universe as we have been able to discern its course by means of science reveals a growth of emergent complexity against a background of virtually unchanging homogeneity. Some accounts of the universe emphasize the emergent complexity, while other accounts emphasize the virtually unchanging homogeneity. The school of historiography we now call Big History focuses on the emergent complexity. Indeed, Big Historians, most famously David Christian, employ a schematic hierarchy of emergent complexity for a periodization of the history of the universe entire. David Christian, the best known figure in Big History, emphasizes emergent complexity over cosmological scales of time. In contradistinction to the narrative of emergent complexity, Stephen Jay Gould frequently emphasized the virtually unchanging homogeneity of the world. Gould argued that complexity is marginal, perhaps not even statistically significant. Life is dominated by the simplest forms of life, from its earliest emergence to the present day. Complexity has arisen as an inevitable byproduct of the fact that the only possible development away from the most rudimentary simplicity is toward greater complexity, but complexity in life remains marginal compared to the overwhelming rule of simplicity. When we have the ability to pursue biology beyond Earth, to de-provincialize biology, as Carl Sagan put it, this judgment of Gould is likely to be affirmed and reaffirmed repeatedly, as we will likely find simple life to be relatively common in the universe, but complexity will be rare, and the more life we discover, the less that complex life will represent of the overall picture of life in the universe. And what Gould said of life we can generalize to all forms of emergent complexity; in a universe dominated by hydrogen and helium, as it was when it began with the big bang, the existence of stars, galaxies, and planets scarcely registers, and 13.7 billion years later the universe is still dominated by hydrogen and helium. 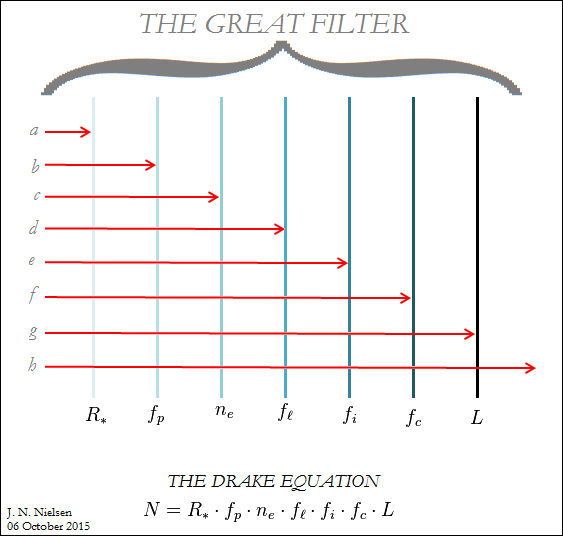 Stephen Jay Gould characterized emergent complexity as the ‘long tail’ of a right-skewed distribution that distracts us from the vast bulk of simple life. Gould’s work is through-and-through permeated by the Copernican principle, taken seriously and applied systematically to biology, paleontology, and anthropology. Gould not only denies the centrality of human beings to any narrative of life, he also denies any mechanism that would culminate in some future progress of complexity that would be definitive of life. Gould conceived a biological Copernicanism more radical than anything imagined by Copernicus or his successors in cosmology. How are we to understand the cohort of emergent complexities of which we are a part and a representative, and therefore also possess a vested interest in magnifying the cosmic significance of this cohort? Our reflections on emergent complexity are reflexive (as we are, ourselves, an emergent complexity) and thus are non-constructive in the sense of being impredicative. Perhaps the question for us ought to be, how can we avoid misunderstanding emergent complexity? How are we to circumvent our cognitive biases, which, when projected on a cosmological scale, result in errors of a cosmological magnitude? Emergent complexities represent the “middle ages” of the cosmos, which first comes out of great simplicity, and which will, in the fullness of time, return to great simplicity. In the meantime, the chaotic intermixing of the elements and parts of the universe can temporarily give rise to complexity. Emergent complexity does not appear in spite of entropy, but rather because of entropy. It is the entropic course of events that brings about the temporary admixture that is the world we know and love. And entropy will, in the same course of events, eventually bring about the dissolution of the temporary admixture that is emergent complexity. In this sense, and as against Gould, emergent complexity is a trend of cosmological history, but it is a trend that will be eventually reversed. Once reversed, once the universe enters well and truly upon its dissolution, emergent complexities will disappear one-by-one, and the trend will be toward simplicity. We can’t simply take the thresholds of emergent complexity recognized in Big History and reverse them in order to obtain the future history of the universe. One could, on this basis, complete the sequence of emergent complexity employed in Big History by projecting its mirror image into the future, allowing for further emergent complexities prior to the onset of entropy-driven dissolution, except that the undoing of the world will not follow the same sequence of steps in reverse. If the evolution of the universe were phrased in sufficiently general terms, then certainly we could contrast the formation of matter in the past with the dissolution of matter in the future, but matter will not be undone by the reversal of stellar nucleosynthesis. Among the emergent complexities are phenomena like the formation of stars and galaxies, and nucleosynthesis making chemical elements and minerals possible. But as human beings the emergent complexities that interest us the most, perhaps for purely anthropocentric reasons, are life and civilization. We are alive, and we have built a civilization for ourselves, and in life and civilization we see our origins and our end; they are the mirror of human life and ambition. If we were to find life and civilization elsewhere in the universe, we would find a mirror of ourselves which, no matter how alien, we could see some semblance of a reflection of our origins and our end. Recognizable life would be life as we know it, as recognizable civilization would be civilization as we know it, presumably following from life as we know it. Life, i.e., life as we know it, is predicated upon planetary systems warmed by stars. Thus it might be tempting to say that the life-bearing period of the cosmos is entirely contained within the stelliferous, but that wouldn’t be exactly right. Even after star formation ceases entirely, planetary systems could continue to support life for billions of years yet. And, similarly, even after life has faded from the universe, civilization might continue for billions of years yet. But each development of a new level of emergent complexity must await the prior development of the emergent complexity upon which it is initially contingent, even if, once established in the universe, the later emergent complexity can outlive the specific conditions of its emergence. This results in the structure of emergent complexities not as a nested series wholly contained within more comprehensive conditions of possibility, but as overlapping peaks in which the conditio sine qua non of the later emergent may already be in decline when the next level of complexity appears. In several posts — Who will read the Encyclopedia Galactica? and A Brief History of the Stelliferous Era — I have adopted the periodization of cosmic history formulated by Adams and Greg Laughlin, which distinguishes between the Primordial Era, the Stelliferous Era, the Degenerate Era, the Black Hole Era, and the Dark Era. The scale of time involved in this periodization is so vast that the “eras” might be said to embody both emergent complexity and unchanging homogeneity, without favoring either one. The Primordial Era is the period of time between the big bang and when the first stars light up; the Stelliferous Era is dominated by stars and galaxies; during the Degenerate Era it is the degenerate remains of stars that dominate; after even degenerate remains of stars have dissipated only massive black holes remain in the Black Hole Era; after even the black holes dissipate, it is the Dark Era, when the universe quietly converges upon heat death. All of these ages of the universe, except perhaps the last, exhibit emergent complexity, and embrace a range of astrophysical processes, but adopting such sweeping periodizations the homogeneity of each era is made clear. Big History’s first threshold of emergent complexity corresponds to the Primordial Era, but the remainder of its periodizations of emergent complexity are all entirely contained within the Stelliferous Era. I am not aware of any big history periodization that projects the far future as embraced by Adams and Laughlin’s five ages periodization. Big history looks forward to the ninth threshold, which comprises some unnamed, unknown emergent complexity, but it usually does not look as far into the future as the heat death of the universe. (The idea of the “ninth threshold” is a non-constructive concept, I will note — the idea that there will be some threshold and some new emergent complexity, but even as we acknowledge this, we also acknowledge that we do not know what this threshold will be, nor do we known anything of the emergent complexity that will characterize it). Another periodization of comparable scale, Eric Chaisson’s decomposition of cosmic history into the Energy Era, the Matter Era, and the Life Era, cut across Adams and Laughlin’s five ages of the universe, with the distinction between the Energy Era and the Matter Era decomposing the early history of the universe a little differently than the distinction between the Primordial Era and the Stelliferous Era. The “peak Stelliferous Era,” understood as the period of peak star formation during the Stelliferous Era, has already passed. The universe as defined by stars and galaxies is already in decline — terminal decline that will end in new stars ceasing the form, and then the stars that have formed up to that time eventually burning out, one by one, until none are left. First the bright blue stars will burn out, then the sun-like stars, and the dwarf stars will outlast them all, slowly burning their fuel for billions of years to come. That is still a long time in the future for us, but the end of the peak stelliferous is already a long time in the past for us. In the paper The Complete Star Formation History of the Universe, by Alan Heavens, Benjamin Panter, Raul Jimenez, and James Dunlop, the authors note that the stellar birthrate peaked between five and eight billion years ago (with the authors of the paper arguing for the more recent peak). Both dates are near to being half the age of the universe, and our star and planetary system were only getting their start after the peak stelliferous had passed. Since the peak, star formation has fallen by an order of magnitude. The paper cited above was from 2004. Since then, a detailed study star formation rates was widely reported in 2012, which located the peak of stellar birthrates about 11 billion years ago, or 2.7 billion years after the big bang, in which case the greater part of the Stelliferous Era that has elapsed to date has been after the peak of star formation. An even more recent paper, Cosmic Star Formation History, by Piero Madau and Mark Dickinson, argues for peak star formation about 3.5 billion years after the big bang. What all of these studies have in common is finding peak stellar birthrates billions years in the past, placing the present universe well after the peak stelliferous. A recent paper that was widely noted and discussed, On The History and Future of Cosmic Planet Formation by Peter Behroozi and Molly Peeples, argued that, “…the Universe will form over 10 times more planets than currently exist.” (Also cf. Most Earth-Like Worlds Have Yet to Be Born, According to Theoretical Study) Thus even though we have passed the peak of the Stelliferous in terms of star formation, we may not yet have reached the peak of the formation of habitable planets, and population of habitable planets must peak before planets actually inhabited by life as we know it can peak, thereby achieving peak life in the universe. We do not know the large scale structure of life in the cosmos, whether in terms of space or time, so that we are not at present in a position to measure or determine peak life, in the way that contemporary science can at least approach an estimate of peak stelliferous. However, we can at least formulate the scientific resources that would be necessary to such a determination. The ability to take spectroscopic readings of exoplanet atmospheres, in the way that we can now employ powerful telescopes to see stars throughout the universe, would probably be sufficient to make an estimate of life throughout the universe. This is a distant but still an entirely conceivable technology, so that an understanding of the large scale structure of life in space and time need not elude us perpetually. Even if life exclusively originated on Earth, the technological agency of civilization may engineer a period of peak life that follows long after the possibility of continued life on Earth has passed. Life in possession of technological agency can spread itself throughout the worlds of our galaxy, and then through the galaxies of the universe. But peak life, in so far as we limit ourselves to life as we know it, must taper off and come to an end with the end of the Stelliferous Era. Life in some form may continue on, but peak life, in the sense of an abundance of populated worlds of high biodiversity, is a function of a large number of worlds warmed by countless stars throughout our universe. As these stars slowly use up their fuel and no new stars form, there will be fewer and fewer worlds warmed by these stars. As stars go cold, worlds will go cold, one by one, throughout the universe, and life, even if it survives in some other, altered form, will occupy fewer and fewer worlds until no “worlds” in this sense remain at all. This inevitable decline of life, however abundantly or sparingly distributed throughout the cosmos, eventually ending in the extinction of life as we know it, I have called the End Stelliferous Mass Extinction Event (ESMEE). If we do not know when our universe will arrive at a period of peak life, even less do we know the period of peak civilization — whether it has already happened, whether it is right now, right here (if we are the only civilization the universe, and all that will ever be, then civilization Earth right now represents peak civilization), or whether peak civilization is still to come. We can, however, set parameters on peak civilization as we can set parameters on peak star formation of the Stelliferous Era and peak life. The origins of civilization as we know it are contingent upon life as we known it, and life as we known it, as we have seen, is a function of the Stelliferous Era cosmos. However, civilization may be defined (among many other possible definitions) as life in possession of technological agency, and once life possesses technological agency it need not remain contingent upon the conditions of its origins. Some time ago in Human Beings: A Solar Species I addressed the idea that humanity is a solar species. Descriptively this is true at present, but it would be a logical fallacy to conflate the “is” of this present descriptive reality with an “ought” that prescribes out dependence upon our star, or even upon the system of stars that is the Stelliferous Era. Civilization need not suffer from the End Stelliferous Mass Extinction Event as life must inevitably and eventually suffer. It could be argued that civilization as we know it (and, moreover, as defined above as “life in possession of technological agency”) is as contingent upon the conditions of the Stelliferous Era as is life as we known it. If we focus on the technological agency rather than upon life as we known it, even the far future of the universe offers amazing opportunities for civilization. The energy that we now derive from our star and from fossil fuels (itself a form of stored solar energy) we can derive on a far greater scale from angular momentum of rotating black holes (not mention other exotic forms of energy available to supercivilizations), and black holes and their resources will be available to civilizations even beyond the Degenerate Era following the Stelliferous Era, throughout the Black Hole Era. Fred Adams and Greg Laughlin’s five ages of the universe. In Addendum on Degenerate Era Civilization and Cosmology is the Principle of Plenitude teaching by Example I considered some of the interesting possibilities remaining for civilization during the Degenerate Era, and I pushed this perspective even further in my long Centauri Dreams post Who will read the Encyclopedia Galactica? It is not until the Dark Era that the universe leaves civilization with no extractable energy resources, so that, if we have not by that time found our way to another, younger universe, it is the end of the Black Hole Era, and not the end of the Stelliferous Era, that will spell the doom of civilization. As black holes fade into nothingness one by one, much like stars at the end of the Stelliferous Era, the civilizations dependent upon them will wink out of existence, and this will be the End Civilization Mass Extinction Event (ECMEE) — but only if there is a mass of civilizations at this time to go extinct. This would mark the end of the apotheosis of emergent complexity. We can identify a period of time for our universe that we may call the apotheosis of emergent complexity, when stars are still forming, though on the decline, civilizations are only beginning to establish themselves in the cosmos, and life in the universe is at its peak. During this period, all of the forms of emergent complexity of which we are aware are simultaneously present, and the ecologies of galaxies, biospheres, and civilizations are all enmeshed each in the other. It remains a possibility, perhaps even a likelihood, that further, unsuspected emergent complexities will grace the universe before its final dissolution in a heat death when the universe will be reduced to the thermodynamic equilibrium, which is the lowest common denominator of existence as we know it. Further forms of emergent complexity would require that we extend the framework I have suggested here, but, short of a robust and testable theory of the multiverse, which would extend the emergent complexity of stars, life, and civilizations to universes other than our own, the basic structure of the apotheosis of emergent complexity should remain as outlined above, even if extended by new forms.